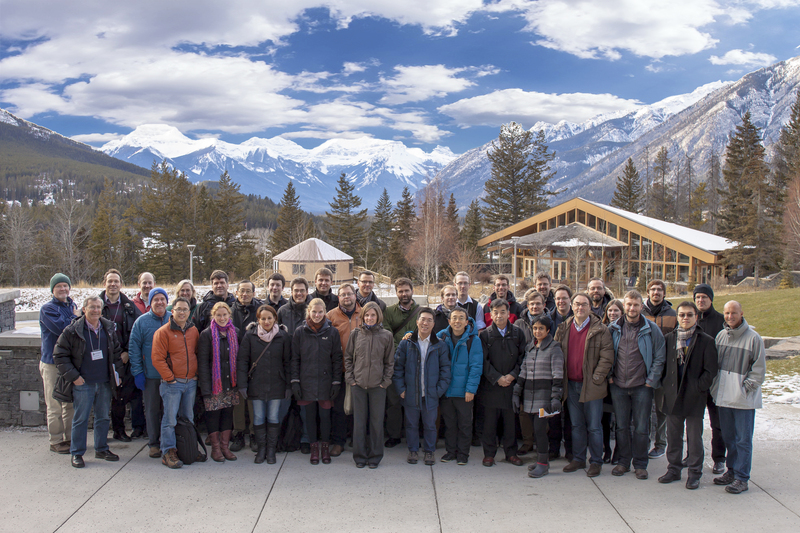 Successful 5th Workshop on Parallel-in-Time Integration in Banff, Canada. The 5th PinT workshop at the Banff International Research Station in Canada brought our workshop series to the North American continent for the first time. We had 41 participants from 10 countries - Austria, Belgium, Canada, China, France, Germany, Japan, Switzerland, UK and the US - which underscores the truly international character of the parallel-in-time research community. The optimal mix of already well-known colleagues and ``fresh faces’’ together with the perfect environment provided by BIRS (what other location offers fighting elk on the way to breakfast?) made the workshop again an incredibly productive and interesting event. For the first time there will be workshop proceedings to be published as a special issue of the Springer journal Computing and Visualization in Science. We can now look forward to the 6th workshop in the series in October 2017 in Switzerland.